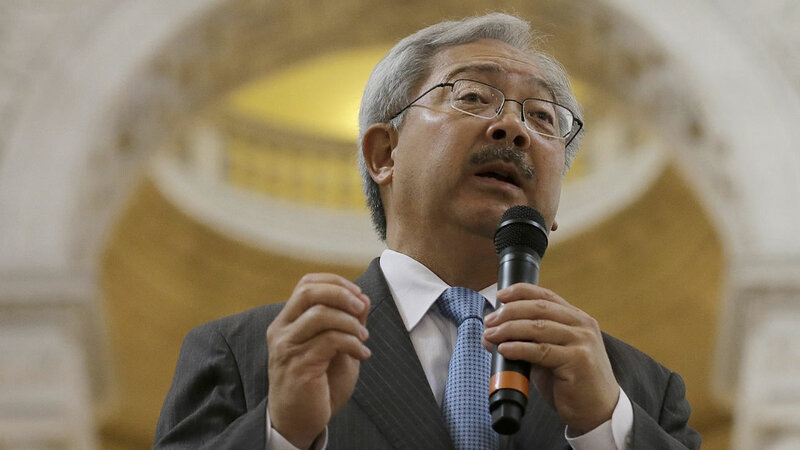 SAN FRANCISCO (KGO) -- An official viewing has been scheduled for San Francisco Mayor Ed Lee in City Hall Friday, according to city officials. Lee died suddenly early Tuesday morning. Lee, 65, was the 43rd mayor of San Francisco and the city's first Asian-American mayor. The public viewing is set for Friday from 8 a.m. to 7 p.m. A public celebration of life will be held at City Hall on Sunday at 3 p.m.
Well-wishers have been leaving flowers on the steps of San Francisco City Hall for Mayor Lee. The mayor's office is also full of flowers. His staff says it is hard to be at work but they also know the Mayor would want them to carry on with his mission. RELATED: Who is acting San Francisco Mayor London Breed? Supervisors shared their stories and their gratitude for all Lee did for the city at a meeting Tuesday night. Board of Supervisors President London Breed was named San Francisco's acting mayor.